The White Industries Urban Pedal impresses with a classically inspired profile combined with modern materials and a design that is ideally suited for the urban cyclist. 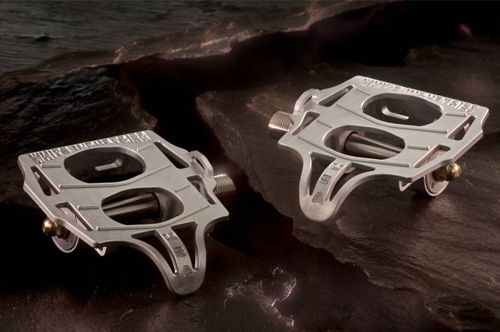 Whether you’re a cyclo-tourist, avid commuter, fixed gear maven or all the above, these pedals provide the perfect platform for whatever shoes you decide to ride in. 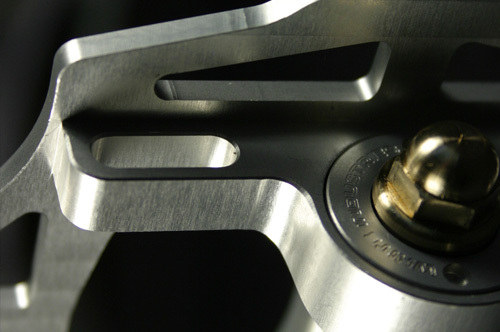 The large kick plate makes getting your shoes onto the pedals and into the toe clips effortless. 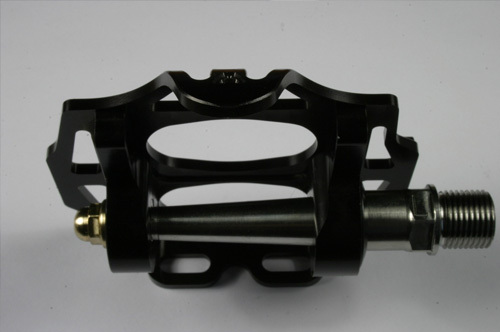 The Urban Pedal is designed to accept standard toe clips and either single or double straps. 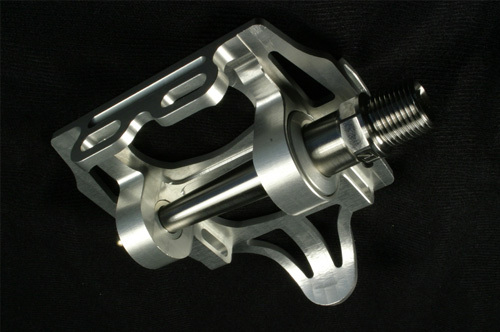 The tapered 17-4 stainless steel spindle and sealed cartridge bearings complete this quality pedal, and the bronze acorn nuts add a touch of class. 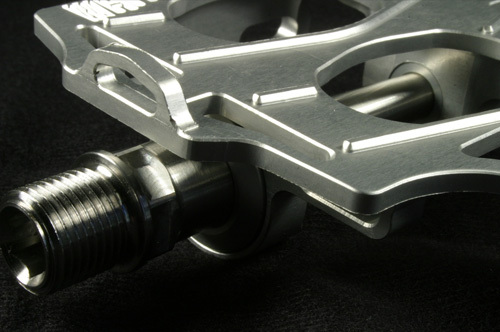 The pedal is made in the USA, weighs in at only 322 grams, and is available in both silver and black anodized.